When the news that legendary film director K Balachander had been chosen for Dadaseheab Phalke award reached the Tamil film industry, there was a sense of contentment. If there's anyone who deserves the award the most, it is Iyakkunar Sigaram Balachander or KB Sir, as he's affectionately called. The filmmaker is credited with introducing actors like Kamal Haasan, Rajnikanth, Saritha, Sujatha and a host of directors, technicians to cinema. He was awarded the Padma Shri in 1987. Here, in celebration of his award, we take a look at some of his landmark movies. He proved his penchant for strong female protagonists time and again; and this film was no different. Aval Oru Thodarkadhai was one of his path-breaking works. Sujatha, who recently passed away, took on the mantle of Kavitha, the hard-working woman who struggles to support her largely ungrateful family. The tough exterior conceals a heart of gold, which, tragically, is never seen or recognised by her family. 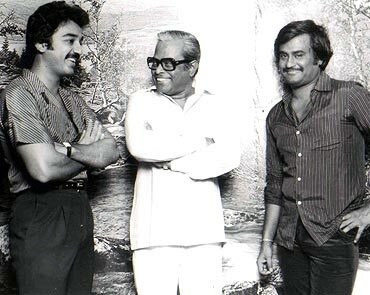 The film made waves not just for its principal characters who challenged Tamil cinema's set notions; it was also the dialogues that drew gasps from the audience. 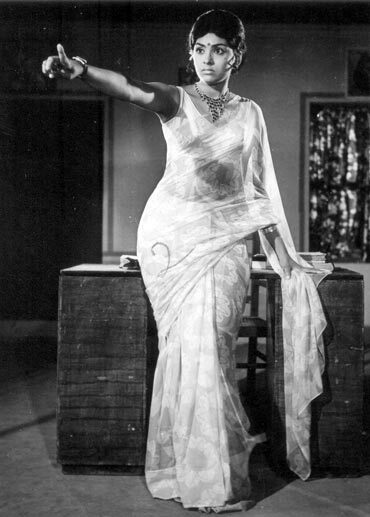 In creating Kavitha, K Balachander gave life to one of Tamil's most enduring, powerful female characters. Not to mention the fact that this was the movie that introduced Rajnikanth to cinema. M S Viswanathan's music, including songs like Kadavul Amaithu Vaitha and Deivam Thantha Veedu were runaway hits. The film was remade in Telugu as Andhuleni Kadha. It was also remade in Malayalam, Bengali and Hindi. Many filmmakers of that time would have hesitated to touch a subject like this, particularly at a time when relationships were still being gingerly tested on celluloid. But not K Balachander. This film explored the relationship between a singer (Srividya), several years older than her youthful admirer (Kamal Haasan). The two decide to carry on with their relationship despite all odds, when another tangle develops: Kamal Haasan's father falls in love with a girl many years his junior and she happens to be Srividya's daughter from a previous marriage. To make matters worse, Srividya's former husband (Rajnikanth) propels complications as well. M S Viswanathan's music, consisting of songs such as Adhisaya Raagam, Ezhu Swarangalukkul and Kelviyin Naayagane were very successful. Apoorva Raagangal won the National Award for Best film for that year, as well. Avargal is yet another film that portrayed a strong female protagonist. Sujatha played a modern young woman who has a boyfriend and is forced to leave town upon her father's transfer. She never hears from the guy again and soon piques the interest of her new boss, Rajnikanth. The two get married but her husband is a sadist and takes pleasure in torturing her. Meanwhile, she also gains another admirer in Kamal Haasan, a ventriloquist. Avargal was based on many intricate themes: the life of a single mother struggling to deal with an ex-husband, being invloved with another lover, and a third man whom she can't place. M S Viswanathan's songs, such as Kaatrukkena Veli and Junior Junior were great hits too. The film was later made into Telugu as Idi Katha Kaathu. Often hailed as a definitive film that showcased the trials and tribulations of the unemployed youth of the 1980s, K Balachander crafted a work that followed the lives of three young, educated men forced into near-starvation conditions, because they simply couldn't find a job. Kamal Haasan plays the vulnerable, sensitive, yet idealistic lead, quoting Bharathiyar songs and refusing to bow down to corrupt practices. His lead is Sridevi, a theatre artist. Dialogues were one of the high points of this film. With Ilaiyaraja's beautiful scores such as Chippi Irukkuthu, and Theerthakkaraiyinile and a heavy Bharathiyar influence, this movie remains an embodiment of gentle love. Possibly among the most romantic films of the 1980s, this was a remake of Telugu smash-hit, Maro Charithra. A Tamil boy falls in love with a Hindi-speaking girl; the parents oppose, but after a series of mishaps, the boy convinces his prospective in-laws of his true feelings. Just when it looks like everything might end well, disaster strikes. In many ways, it was a formulaic love-story, but where Balachander outdid himself was in portraying the very real problems between two families from the North and South: language barriers, cultural misunderstandings and the lure of lovers who come from vastly different backgrounds, yet find the bond of love. The songs Tere Mere Beech Mein, Mere Jeevan Sathi and Hum Bane Tum Bane went on to become chartbusters. 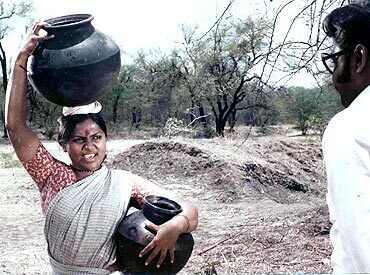 Based on Komal Swaminathan's reputed play, Balachander made an absorbing tale about a village's thirst for water, and the lengths they would go to, to get it. At the lowest level, this was more than just the people's journey to find water; it featured a tableau, starting from the apathetic attitude of everyone from the authorities to those who are just looking for a quick buck. Saritha's performance received plenty of accolades. The film won the Best Screenplay award at the national level. Also, the Silver lotus for the best Tamil film. Saritha delivered a brilliant performance in this one: one of Balachander's more understated yet heart-rending movies, a smooth combination of romance and the twisted world of politics. This was the tale of a simple young man, played by Rajesh, who only wanted to do his people good, and his lover, played by Saritha. The rural tale had several advantages to it: simple, unassuming dialogues and emotional strength were the mainstay of the film. V S Narasimman's music, particularly the songs Aavaram Poovu and Odukira Thanniyile became very popular. This film also won the Silver Lotus for the best Tamil film at the national level. Once again, Balachander proved that controversial stories and challenging characters were his forte: this time around, he chose a talented and popular carnatic musician (Siva Kumar). He has wealth, a beautiful wife (Sulakshana) and many well-wishers, but there's something lacking in his life. That, he realises, is companionship, when he stumbles across a music expert in the form of Suhasini, who impresses him with her musical knowledge. What starts out as simple friendship escalates into something more. Soon, alcoholism joins the mix and chaos erupts. The cast delivered an inspired performance. The music was received with great acclaim; so superbly were the maestro's numbers woven with the movie that listeners went gaga over his knowledge of classical music. Songs such as Mari Mari Ninne, Maha Ganapathim, Poomalai Vaangi Vandhaan were instant hits and are still considered cult classics. The film won three National Awards: Best Actress, Best Female Playback Singer and Best Music Direction. K Balachander executed quite a few novel ideas with this movie. It starred the violinist duo Ganesh-Kumaresh instead of standard heroes and the movie is in two halves, made into one; two stories that have distinctive beginnings and endings, with the two female protagonists who only meet at the end. One is the idealistic, high-minded wife who detests her husband's extra-marital affair; the other is a junior artist in cinema who gets a divorce from her husband, following his terrible treatment of her. Both undergo severe trials and suffer unfair treatment at the hands of their spouses; both realize that they're stronger on their own. The film won K Balachander the National Award for the Best Film on Social Issues.